Sometimes the old way is best! When my ice maker broke, I knew what I wanted, OLD FASHIONED ALUMINUM ICE CUBE TRAYS. I finally found them at MILES KIMBALL. Now I'm a "happy camper"/cook. i think these are great compared to the plastic ones! great for ice cube convience,they beat the pklastic ones hands down.they last & last over the plastic trays. easier to use than plastic. So glad I didnt listen..
Love the ols fashioned trays. So easy to get the ice out!!! Getting away from plastic. A little pricey, but so far worth it. EVEN LOOKED IN ANTIQUE /THRIFT SHOPS FOR THESE ICE CUBE TRAYS AND WAS VERY HAPPY TO FIND THEM AT MILES KIMBALL! We got this for my Mom as a joke (my husband jokes she is an icemaker). The joke was on us. Her face lit up like a Christmas tree. She LOVES it. She has been looking for one like this for a long time an couldn't find it. We'll be getting her another one. Makes great icy-cold ice cubes that snap right out of the tray into the ice cube drawer in the freezer. Ice cubes stay colder longer in any kind of drink. Trays are dishwaher safe but don't need to be washed that way; just rinse. Have only had these for a month so cannot attest to their durability but ... can't believe we gave these up in the 60s for plastic ice cube trays. This old time-favorite still the best! No "twisting", etc. to remove the ice--very simple operation and ice is available in no time. A gift for a friend that grew up w/these in their fridge ~ totally fun! I remember these ice trays as a kid, I liked them very much as a kid, and I really like the ones I got now. No greasy film like with plastic trays! READING THE REVIEWS FOR THIS PURCAHSE, SOME HAD A HARD TIME GETTING THE ICE OUT OF THE TRAY. IF YOU RUN WATER OVER THE TRAY AND LET THE TRAY SIT ON A COUNTER FOR A MINUTE THEN PULL THE LEVER TO RELEASE THE ICE, THE ICE COMES OUT OF THE TRAY WITH NO PROBLEM.YOU CANNOT FORCE THE LEVER TO OPEN WITHOUT RUNNING IT UNDER WATER FIRST AND LETTING THE TRAY REST OR THE LEVER WILL BREAK. THIS TRAY IS WONDERFUL AND THE ICE CUBES ARE A NICE SIZE. 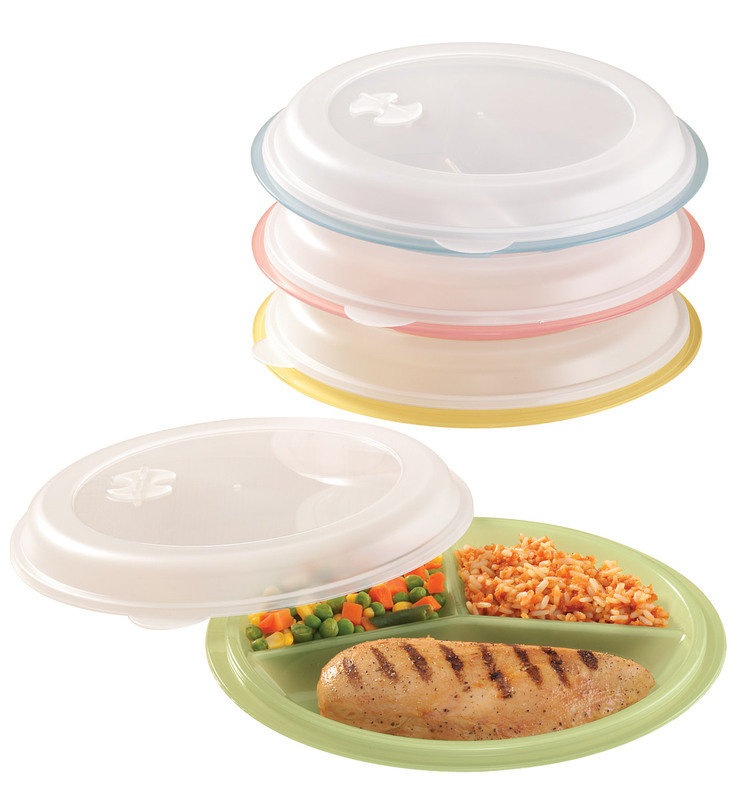 These trays are much better than the plastic or silicone ones and much easier to empty as well. The ice freezes quickly and the handle cracks the ice loose really easily. Love 'em.
" I would buy several"
I can not imagine why anyone would use another ice cube making tray. I dearly love mine. It keeps drinks colder. 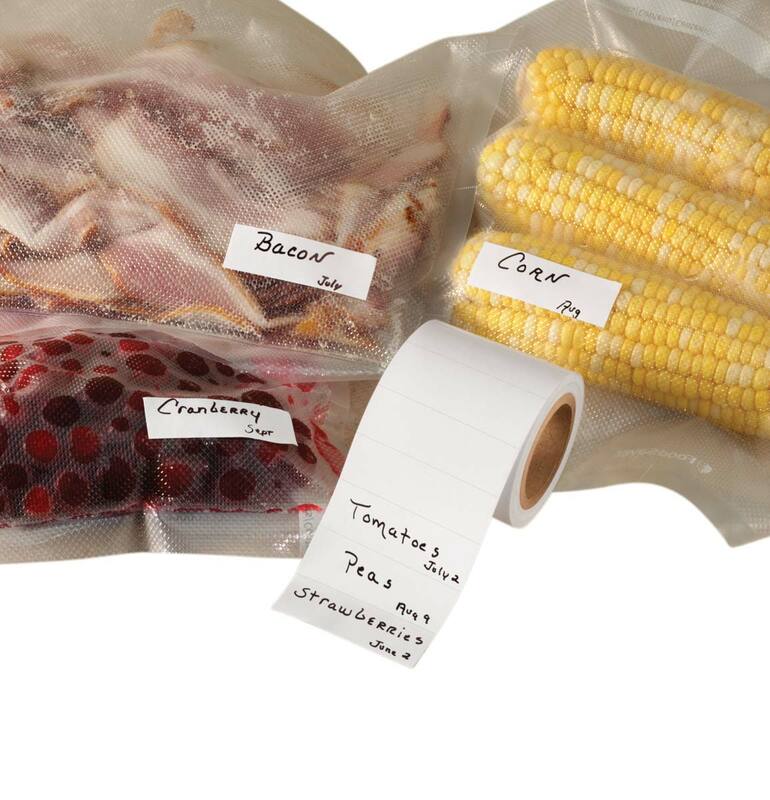 Easy to use and store for freezing. I won't have any other kind. Perfect, absolutely perfect. I bought one and am now going to buy more so I will be throwing my others away. I truly don't understand how you could find a CON for this item. Without question, I would highly recommend this product. Ice cube tray makes great ice cubes! Love the old fashion ice cube tray! They don't get that ugly plastic "smell" after so long in the freezer. This is metal and no need to wash I just rinse off and fill again for my next tray of ice cubes....love it! Be sure to run tap water over before raising leaver. 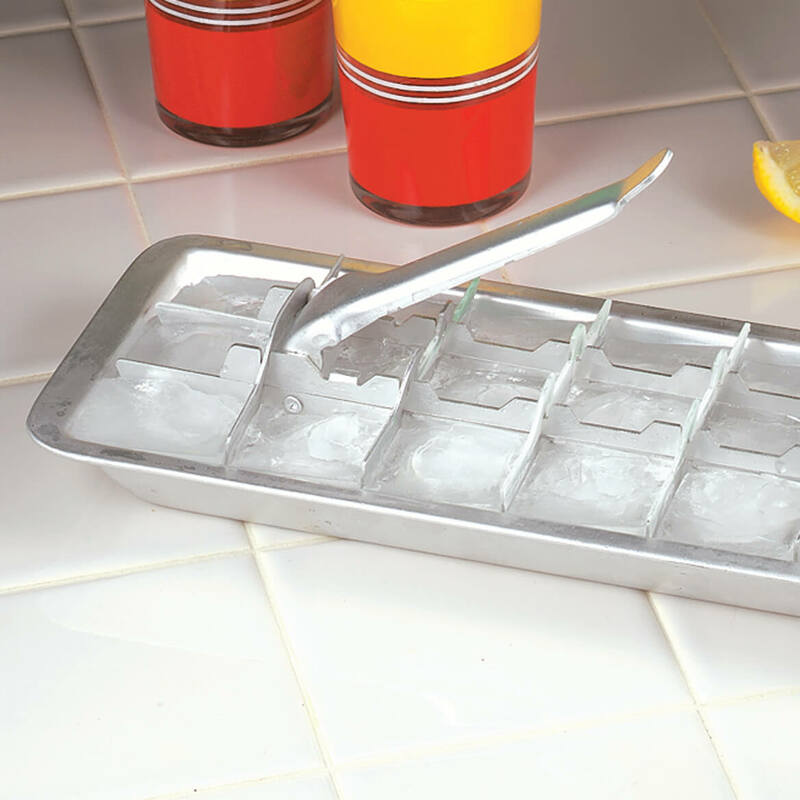 Perfect Nostalgic Ice Tray that Works ! Reminds me of the trays my parents had when we were growing up.Just remember to run them under water for about 3 sec before pulling handle. Releases easier. These trays are like the old time trays. They don't break like plastic does. I love them!! These are the same ice cube trays that I remember using as a kid 60 years ago. They are still the BEST because they are easy to fill with water and getting the ice cubes out is a breeze. The aluminum freezes faster, is SAFER than plastic, and is dishwasher-safe. These trays are not bad...the ice cubes are not as big and these trays are not as "sturdy" as the same made when I was a kid but so far they are holding up better than the last "plastic trays" that I purchased. I'm pleased with the the aluminum ice cube trays. They are so much better than the plastic trays. These are the kind of ice trays my Mother used. This aluminum ice tray is much sturdier than the cheap plastic ones that crack and then drip water everywhere. It is a little difficult to loosen the pull back handle to release the ice but not really a con...just run a little tap water quickly across the bottom and that helps! 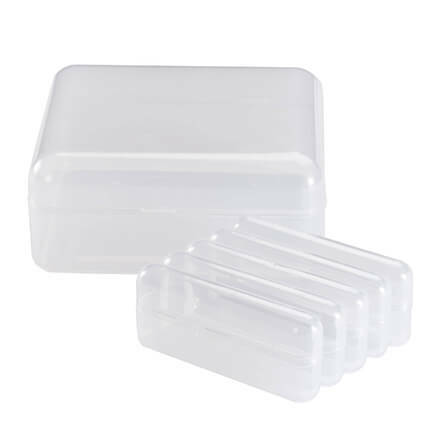 It is a GREAT Ice Cube tray just like I remember with the exception of being kind of weak when opening (but I found if you rinse them first no problem). I would buy these again or give them as gifts or tell others to buy. These ice cube trays will not crack or break. serves the purpose. they are not as thick as expected but just want I can use to make ice. After the first use there is a dent in the tray. Otherwise hold water for making ice. Sides need to be built up so that water doesn't spill out while transporting to freezer compartment of refrigerator. I bought this to refill my refrigerators ice cube maker as it has been broken for some time and I don't want to spend big ???? to get it fixed right now. Does what it promises to do. Works great. You won't be disappointed. no more cracks in ice cube tray which leads to leaking water in freezer - thank you! just like the original trays I remember from long ago but too long for my modern refrigerator. I can only use it on one shelf since it's a bottom freezer and the tray is too long. It looks very sturdy. The fault lies in my freezer not in the trays. Metal ice cube tray is much stronger than plastic type. Just be sure to run water across bottom of tray to release whole tray. Lever than easily breaks cubes apart. I love it, my mother use to have these types, memories live on. Not what I grew up with. It is definitely like we used to have in our freezer in the 60s and 70s. But this metal is flimsy compared to the original ones. The handle feels like it will break, so you have to let the tray 'warm up' for a minute then hold one hand at the front edge and pull the handle with the other gently until the ice frees the handle then it pops open. OK, the first thing was one of them had a hole in it when I received it. Didn't realize it until it leaked all over my freezer. The other two were fine but honestly getting the ice out is a major pain. I end up running water over them and then the ice freezes together in the bucket. Think I would have been just as happy with plastic ones. The first time I used these one broke, the handle bent and everything came apart. The other one has held up so far. My suggestion is use care when lifting the handle and run warm water over the tray before trying to remove the ice. It is NOT like the old metal ice trays. A little pricey and not as strong as expected. 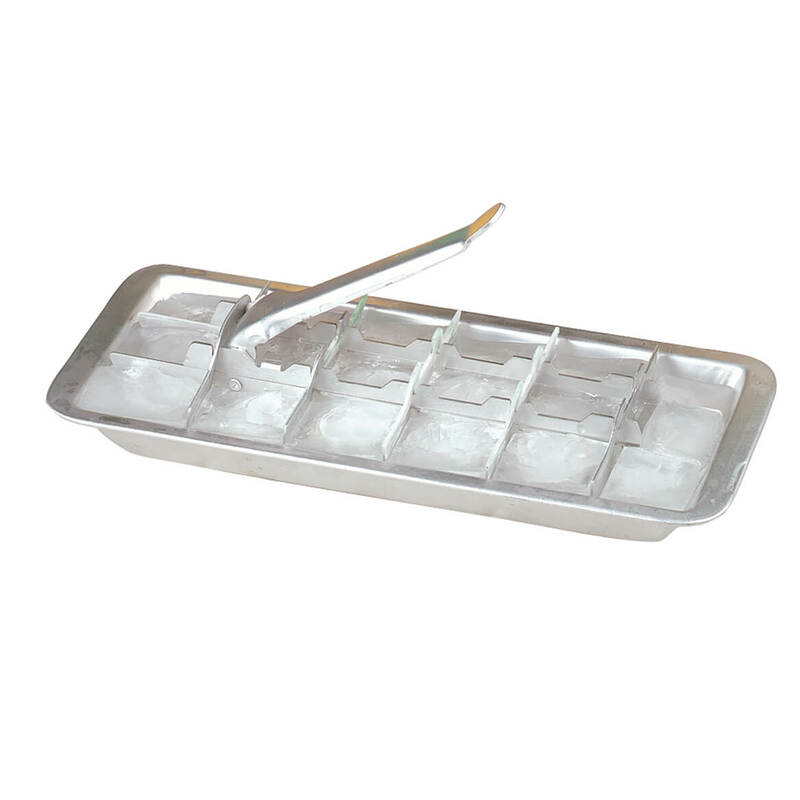 Our ice maker broke so remembered before ice makers, trays like these were used. We found these difficult to get the ice out. Feels like these are not as sturdy as they we remembered. Rivets break, replaced rivets with cotter pins. Works great after this modification. My son is into antiques and remembers the ones I used to have. Since they are hard to find I'm hoping he enjoys this one. I use to have aluminum trays. I now have plastic trays. I think the aluminum trays are easier to empty. My auto ice maker quit but the freezer compartment still works. I've heard the plastic trays don't hold up. I bought them,my daughter saw them and liked them,so I am getting them for her. Needed ice cube trays not satisfied with plastic. i am tired of replacing plastic ones. can't stand plastic trays. These work beautifully. want to see if like old ones. freeze faster. if like old quality will buy more! If you get the organizer, you need the trays. works a lot better than plastic ones they sell at stores. I'm tired of the plastic trays breaking. I wanted something that I know works. Also, Reminesant of my childhood. My ice maker malfunctions often so I thought a manual will come in handy. Because I needed new one. They are like the one's I had when I was younger. My Wife wants them she says their Bettr than the Other ones!! We're tired of trying to get ice cubes out of the plastic type. Plastic trays are no good. I wanted to show my son-in-law how we had to make ice when we where young. He thought it was pretty cool! Retro and the plastic ones are no good. 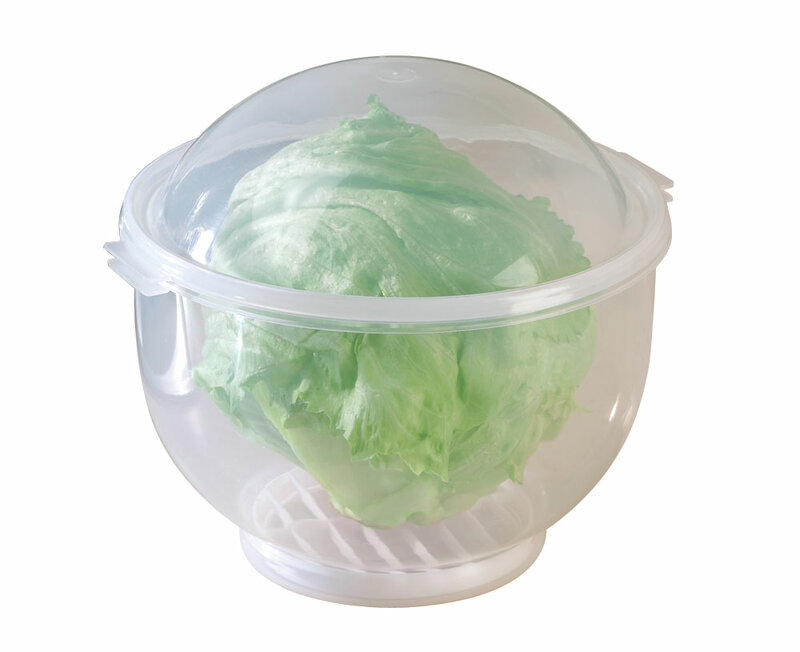 Very difficult to remove ice cubes from plastic and silicone ice trays. This is the tray I grew up with, and hope it works as I remember. Some reviews said the handle bends or breaks. I hope the quality of the tray is as good as it was when included in refrigerators. 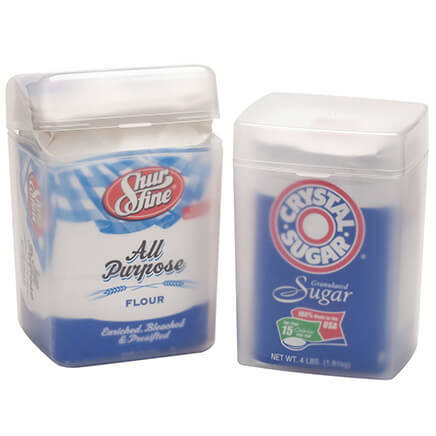 Does the ice cube separator come out so I can use the tray without it for a recipe using just the pan? BEST ANSWER: Yes, it comes as two separate pieces, but the ice cube separator is very flimsy and I no longer use the trays. I do not recommend this item for ice cubes, but you could use the tray for something else. Thank you for your question. The divider does come our. The tray comes as two pieces. We hope this information will be of help to you. can you remove insert with handle? BEST ANSWER: Thank you for your question. The insert divider is removable. The handle is attached to the insert. We hope this information will be of help to you. Yes. I have had no issues with these ice trays. I like them better than the plastic ones. Hope this help. handle is part of insert. if difficulty removing ice run water over outside of tray. does the center release come out? so you are just left with the tray? Need that size tray for a recipe and do not want the center. BEST ANSWER: Yes, the center comes out. Yes the center comes out. Does the aluminum leach into the ice cubes? Does the aluminum breakdown at all with freezing refreezing? No not at all. I only ordered one but will be ordering another soon.